At times I feel like there is very little for me to say about certain things. And highlighters are one of those things. I use them, but not so much that I’ve extensively tested many of them to find the best. And I only use them for highlighting, and not some of the more creative applications like using them similarly to a blue pencil. Still, a product that does its job well deserves some of my time to talk about it. 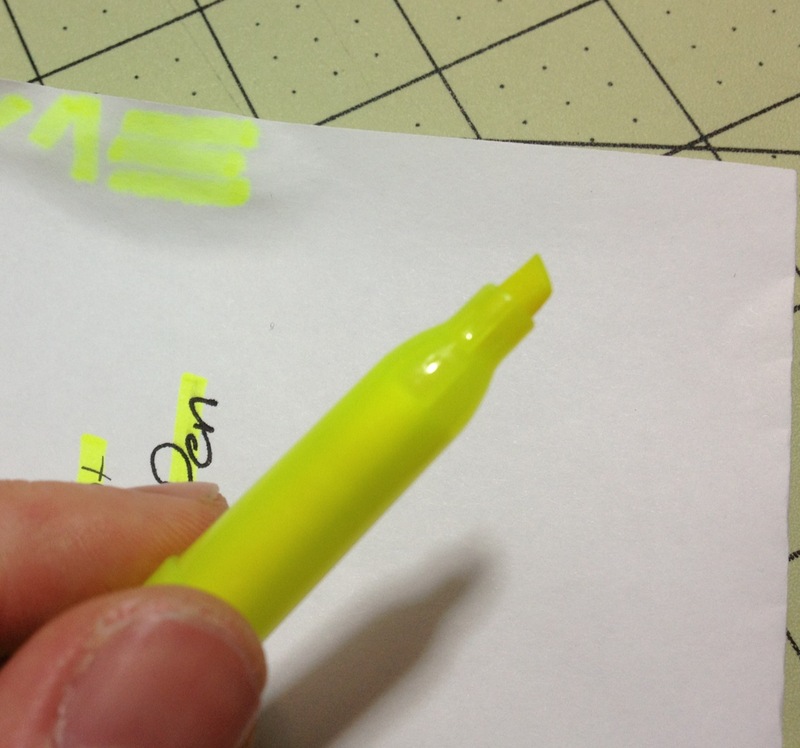 This Sharpie highlighter was a pack-in with several Sharpie pens, but I’ve seen it on the shelf by itself as well. The body is very simple, being a translucent yellow cylinder with a “cone-shaped” stopper on the end. The cap is a solid piece of plastic with an integrated clip that works well for what it is. The section is also a simple cylinder after a step down from the barrel, and then there is a slight taper and protrusion at the (chisel) tip. Sharpie is on both the cap and barrel in various forms with the only other information being a nontoxic seal and the words “smear guard”. When writing, the ink goes on smoothly, and is very bright. So if you want to draw attention to something, this will work. The ink also resists smearing both what it is being applied over, and itself when wet. While it does smear and spread some when dampened, it isn’t too terrible, and during my tests only fountain pen (liquid, dye-based) ink smeared even a bit. I haven’t tested the longer-term effects, but I’d like to think Sharpie has experience with these things. It’s a highlighter. It’s a good, simple, bright highlighter. If you aren’t looking for anything special from your highlighter, but don’t want smearing, these will work. 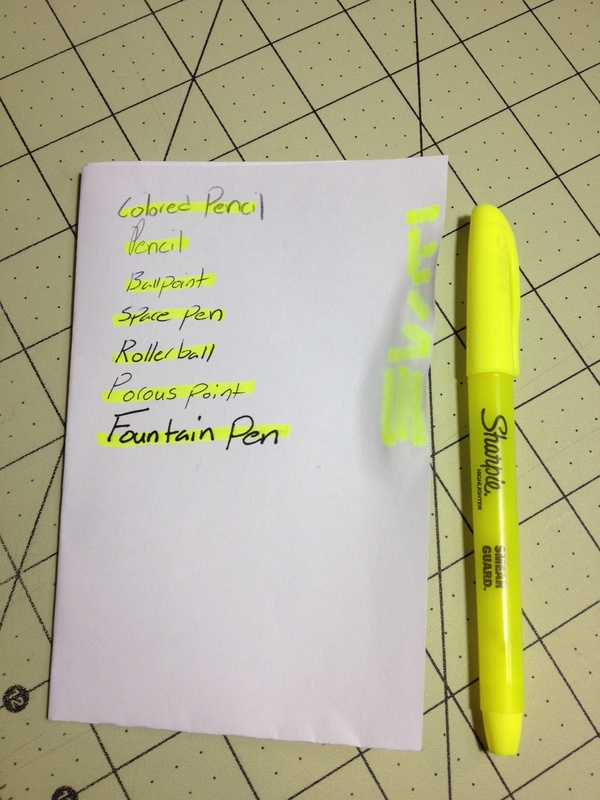 This entry was posted in Beginner Supplies, Utensils and tagged art supply review, art supply reviews, drawing, highlighter, light, lighter, office supply review, review, sharpie, sharpie highlighter, smear guard, stain by Dragon Co (Austin Smith). Bookmark the permalink.